Despite Lewis Carroll's novel, Alice's Adventures in Wonderland being set down rabbit holes and at mad hatter's tea parties, London is a rabbit warren of Alice-themed locations. And we don't just mean City workers tapping their watches and muttering about being late. Take a tour of Alice's London, where underground takes on a whole other meaning. The character of Alice was inspired by a girl called Alice Liddell, a daughter of a family with whom Lewis Carroll (real name Charles Dodgson) was friends. Although she only lived in London for the first four years of her life, her family legacy lives on. One of 11 houses at Westminster School is called Liddell, named after Alice's father Henry, who was headmaster of the school from 1846-1855. Liddell's Arch, designed by Lord Burlington, still stands at the school, leading though to Little Dean's Yard. The original manuscript has been in the hands of the British Library ever since, and is available to view online (as is an 1886 play adaptation). Alice aficionados in London got excited back in 2012 when Alice Through The Looking Glass opened in Cecil Court, a mere rabbit's hop from Leicester Square. It sells chessboards, t-shirts and rare and unusual Alice iconography, dating from the 1860s through to the 1960s, alongside first editions and early copies of the Alice stories, and is worth a visit to say hello to Harley, a live British giant white rabbit, who can be found patrolling the premises on certain days. 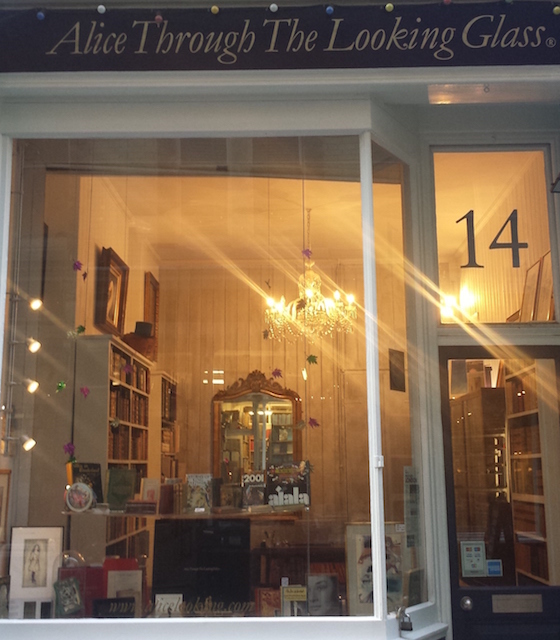 The co-founder, Jake Fior, has written a book reimagining Alice Through The Looking Glass, referencing real ceremonial magic, early feminism and actual events in Victorian London at the turn of the century. As synonymous with Alice as Carroll's nonsensical language are the illustrations by Sir John Tenniel. Tenniel Close in Bayswater is named after the artist, but if we're being honest, there's nothing to see there. Instead, head to the V&A Museum. Sir John Tenniel was commissioned to create a mosaic of Leonardo da Vinci. The ceramic mosaic itself is now in storage, but the oil painting design for the mosaic remains on display, currently in the Lecture Theatre at the V&A. There are also a number of prints and drawings by Sir John Tenniel — including Alice illustrations — in the V&A's Prints & Drawings Study Room and are available for public viewing by appointment. Several Alice prints are on sale in the V&A shop, including the Mad Hatter and Alice and the Red Queen. The Cutty Sark shop also stocks products featuring Tenniel's Alice illustrations. 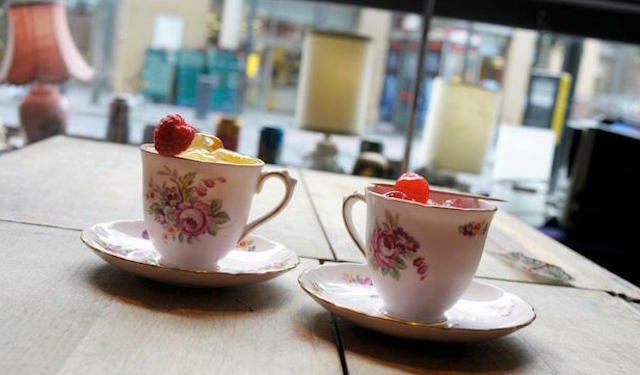 The obvious choice is Sanderson Hotel's Mad Hatter's Afternoon Tea. Menus are hidden inside vintage books, and napkins wrapped with riddles, while teapots are adorned with kings and queens and sandwich plates feature zebras, birdcages, carousels and ticking clocks. Looking Glass Cocktail Club in Shoreditch is from the people previously behind White Rabbit in Stoke Newington, while The Fable in Holborn Viaduct works on a fairytale theme. There's even a writing desk (but no ravens — you'll have to head to the Tower of London to catch a glimpse of them). Simmons Bars serve cocktails in teacups (or teapots, if you're particularly thirsty). The Walrus and The Carpenter pub in the City is named after Carroll's poem, published in Through The Looking Glass: upstairs is the Lewis Carroll Dining Room. Although the Mad Hatter Hotel and pub near Waterloo is named after a gentlemen's hat factory, some of the decor has nuances of Carroll's books. While Turtle Soup is hard to come by these days, we discovered it at the Museum of Brands in Notting Hill. Croquet is had to come by in London since Croquet East ceased to be. 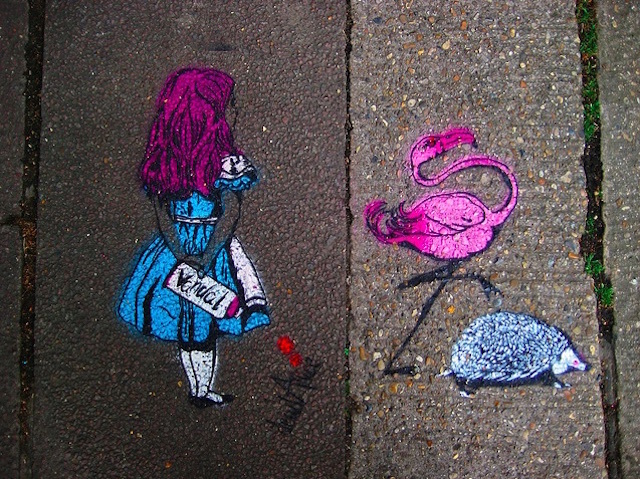 For all your non croquet-based flamingo needs, head to Kensington Roof Gardens or London Zoo. For dodos, the Grant Museum of Zoology is your best bet, as it houses a collection of bones belonging to the bird — which had already been extinct for 200 years by the time Carroll was writing. London's not short of timepieces — take a look at the city's more unusual clocks — although pocket watches have been phased out by mobile phones these days. And then of course, there's the staircase that looks like the Cheshire Cat.